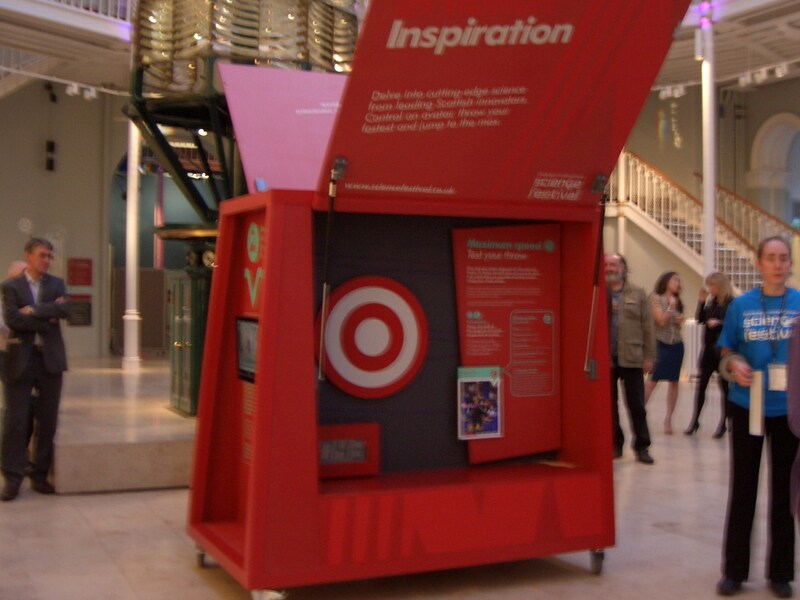 Today is the first day of the annual two-week extravaganza of exciting, inspiring and thought-provoking events that are the Edinburgh International Science Festival. 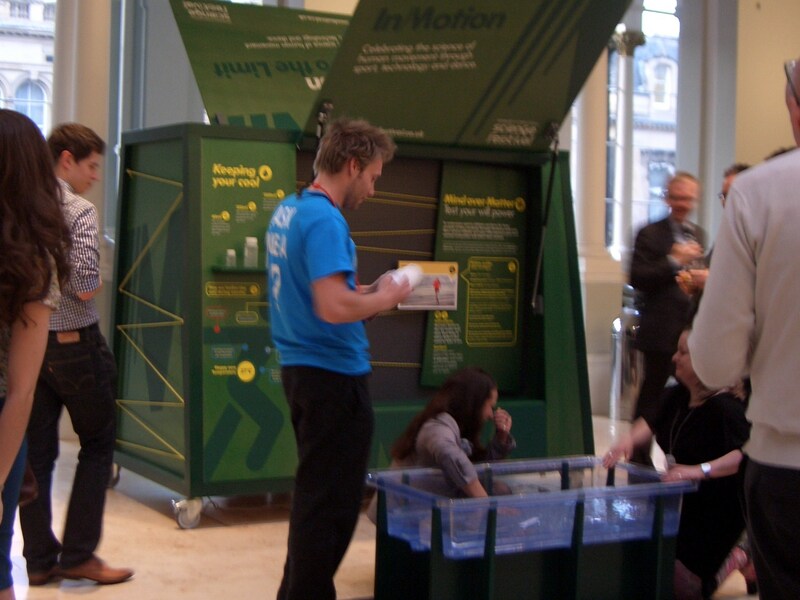 Everyday from today (30 March) until the 15 April, InMotion will take pride of place in the Grand Gallery at the National Museum of Scotland, allowing visitors to discover the science of human movement through a series of workshops, performances and interactive exhibits. 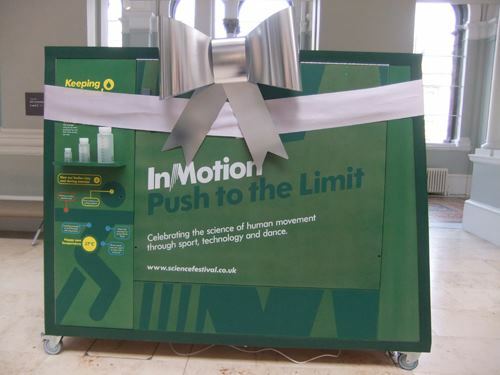 I have been working on InMotion with the science festival since the beginning of December as project manager. My job was to help the festival staff turn their creative ideas into real physical exhibits, getting the designers on board (Stuart Kerr and Chris Peters), and the exhibit build company (FifeX), working with all the exhibition partners, keeping to budget, and getting all the elements into position for the big day. It’s been a challenging but really fun project. Finally, after a lot of hard work from everybody, the exhibition ‘boxes’ were delivered to the Museum after closing on Wednesday night, set up and then wrapped up in big ribbons and bows until the opening party on Thursday night. 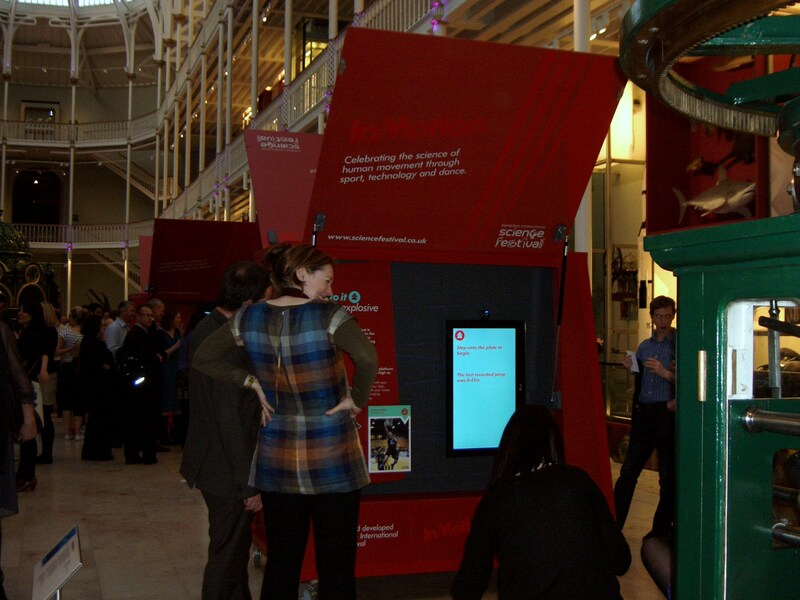 InMotion is open daily from 10am to 5pm until Sunday 15 April, do come along if you are in Edinburgh for the festival. Hope take in the exhibition next week. Looks fun! Been busy with “Queens Treasures” at Queens Gallery. You should not miss it.